Any idea why transmission manual mode will stop working. Does it shift the same as if it were in auto mode? Or does it delay in shifting? In Auto it works just fine, the problem is with manual. It stop working, it stays showing the "D" all the time even if you try shifting up or down. Could it be that the plastic piece that moved with the stick is broken? Here's the thread bv524 created (the person who had a similar incident to you) - hope this helps and do let us know once you've fixed it/have an update! P.S: This thread was running great until someone thread jacked it, so after a few posts you will realise it's completely irrelevant. Last edited by v5024; 07-03-2014 at 05:53 AM. I have a S40 AWD 2006 with the same problem described by Higogo. The plastic piece inside get Broker the the manual option stops working. It can only be repaired at the Dealer? 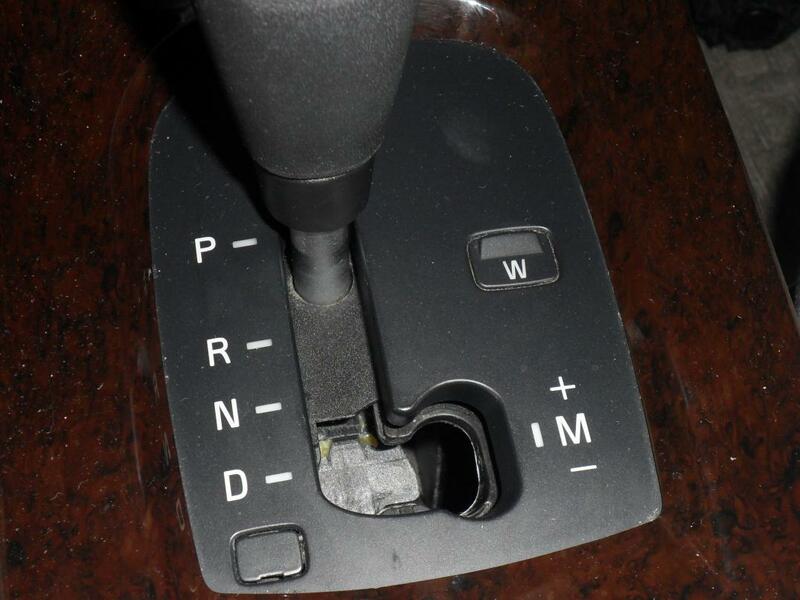 The broken piece in the OP's pic is the shifter blind. It's fairly easy to replace if you're mechanically inclined. Part is cheap at US$14 from online stores. Last edited by bv343; 02-09-2015 at 04:30 PM. Thanks a million! You gave me all information needed to replace the Shifter Blind (pn:8699465). I ordered online the part ($30 including S&H) followed the instructions in the two links you posted.. Done! (yes, removing the **** was a pain..., but it was worth the effort).